With this product you can accumulate up to 84 Glitter Points. 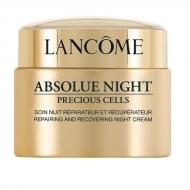 DESCRIPTION: Absolue Precious Cells Rose Drop Night Peeling Concentrate from Lancôme is a biphasic concentrate of night skin peel. The pink exfoliating part was enriched with fruit acids and exfoliating ingredients. The gold oil part is a concentrated blend of precious rose extracts, including rose essential oil. 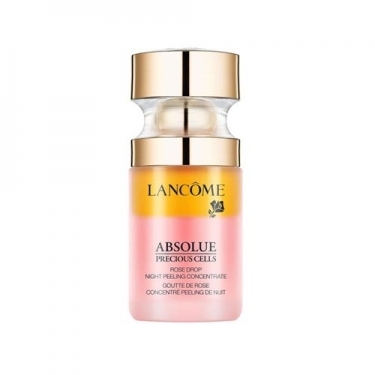 When mixed, this formula leaves the skin smoother and clearer. 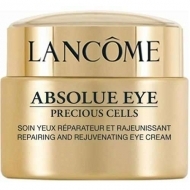 Helps stimulate the renewal of skin cells, soothes newly exfoliated skin and nourishes it with moisture. The appearance of fine lines seems smoothed. The complexion is brilliant. Apply two drops on the palm of the hands and apply on the face, avoiding the lip area and the eye contour.